This photo was taken on a tour of Aruba. We rented a car and went on an adventure to explore. 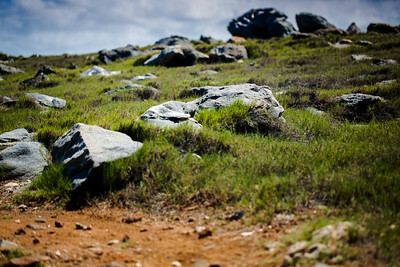 The field was filled with burnt orange dirt trail, dry grass, and plenty of rocks. 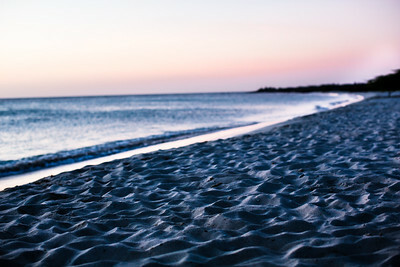 This photo was taken on the north east side of Aruba down by the beach near the chapel. 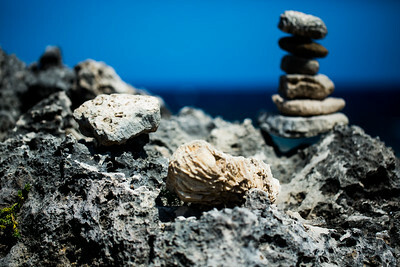 The Aruban rock pile is a tradition about leaving a trace of yourself in your travels. This desert terrain was covered with volcanic rock with plenty of cactus. The dark blue in the background is the ocean. 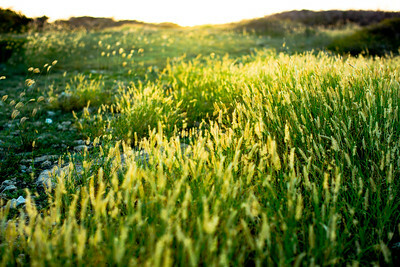 The photo was taken just before sunset in a grass field in Aruba. The field was pretty close to the lighthouse on the north west side of the island. I was drawn to golden light as it made the grass glow. This photo was taken on Eagle beach. The air was warm and the sky was a shade of orangish pink. My goal for the picture was to capture the sand detail in the foreground and the setting sun in the background.